We work hard to make car insurance easy. Easy to get a quote. Easy to provide your proof no claims discount, if we need it. Have we asked you to provide your proof of No Claims Discount (NCD)? Yes - If we've asked for your proof of No Claims Discount (NCD), here you can find all the help you need to provide it quickly and easily. Please note you must send your proof of NCD within 14 days from the day you purchased your policy to prevent the policy from being cancelled. No - If we haven't asked for your proof of NCD, please don't send it over, as it may cause unnecessary confusion while we process your policy. If you're not sure of whether we've asked for your proof of NCD or not, please check your emails. If we do need your proof, we will have told you this in your welcome email. Please make sure you check your spam folder, too. You can provide original copies, photos or screenshots in one single file, as long as the whole document is visible. Haven't registered for an online account yet? Upload the document to your account. Use the form below to upload your proof directly. If we've asked for your proof of NCD, you can upload your document below, in one of the following formats: Microsoft Word document, PDF, PNG and JPG (maximum size: 3MB). Please make sure to send all pages on the document you are using as proof in one single submission - don't try to upload it more than once. How can I provide my proof of No Claims Discount? We'll get in touch with you if we need to see proof of your No Claims Discount. If we've already contacted you, you can provide your proof of No Claims Discount by uploading it in your online account or submit it directly through our online form. Just so you know, if we ask you for proof of your No Claims Discount, you’ll need to send it to us within 14 days of purchase, otherwise we’ll have to cancel your policy and won’t be able to restart cover for you. Once you’re logged in to your online account, click on the ‘Your documents’ tab in the My Car page. 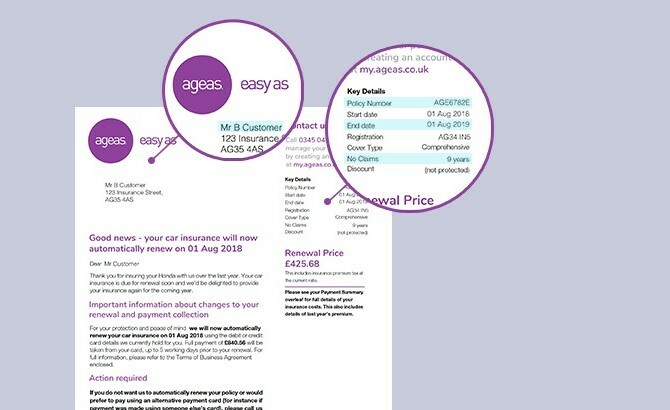 Click on ‘Add document’ and add your No Claims Discount file, click on ‘Upload’ and it will automatically be sent to us to review. You will also be able to see your document in the ‘Your Uploaded Documents’ section on the Documents tab. Note: Please do not send your proof of NCD to any other postal address, as this may mean we are unable to process it or start your policy. Once we’ve received your proof we'll then contact you to confirm it is acceptable or let you know if we need any more information. Uploads can be in a variety of formats, including Microsoft Word, PDF or a photo in the following formats: GIF, PNG, JPG, JPEG and JPE. Just make sure your document is less than 3MB. Can you provide me with my No Claims Discount for my new insurer? You can access this yourself in your online account. Once you're logged in, click ‘My Car’ and then in the ‘Your documents’ tab, you can open your insurance certificate and save it to your computer. You can log into your account up to 6 months after your policy has ended. If you require your No Claims Discount after this time, please contact us on Live Chat. How many years of No Claims Discount can I accumulate? Each insurer has a maximum NCD they will offer. Our maximum at Ageas is 9 years. If you come to us with more than 9 years NCD, you will be entitled to our maximum discount of 9 years, which will show as 9+ years on your documentation. Who can use my No Claims Discount? No claims discount can only be earned and used by the policyholder. We would not be able to confirm your policy with a no claims discount that is NOT in the name of the policyholder. We are also not able to use a no claims discount in the name of your spouse. In addition to this, please note that the main driver and the policyholder can be different. If you are the main driver but not the policyholder, unfortunately we will not be able to confirm the policy with your proof of no claims discount. Can I used a No Claims Discount I earned for a different vehicle? You can only use the number of years gained with your previous insurer under one vehicle/policy. We can accept proof of no claims discount earned for a different vehicle if the discount is no longer used for any other vehicle. If your no claims discount states a different vehicle to the one we are insuring and you are not using on any other vehicles, please confirm this to us when you send us the proof. This will speed up the process of confirming your policy. What are the benefits of an online account? You'll need to fill in our short registration form. Once you've entered all your details, click 'Create My Online Account'. 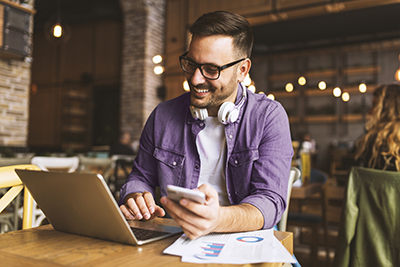 Once you've successfully signed in, you'll be able to take advantage of all sorts of online services, including viewing your policy documents, uploading your No Claims Discount documents, and making changes to or renewing your policy. If you have any other queries about your online account, please speak to us via Live Chat. You can reset your password yourself online. If you choose to be emailed a unique link, click on the button in the email and you’ll be taken to a page to choose and confirm your new password. I've forgotten my username, how do I retrieve it? You can retrieve your username yourself online. Click the ‘forgotten username’ link on the log-in page. This will take you to a page where you'll be asked to input your surname, date of birth and post code. Check you are using the correct username and password (these may be case sensitive) use the ‘forgotten username’ and ‘forgotten password’ links to re-set these details so you can log in. How do I view my documents? You can view all your documents in your online account. Once you’re logged in head to the ‘My Car’ or 'My Home' page and click on the ’Your documents’ tab. Here you will be able to see all your documents, to open a document just click on the view button next to it. Welcome to easy home insurance, where you control your price and we protect your home.